NASCAR’s Talladega Superspeedway in Alabama is most known for its steep banking and the unique location of the start/finish line - located just past the exit pit. Among the many races that are held there each year , the fall NASCAR race is part of the 10-race Chase for the Sprint Cup. Speeds in excess of 200 mph (320 km/h) are commonplace at Talladega, attracting 100,000+ visitors on race day. Needless to say, many people and excitement on a 2.7-mile (4.3-km) tri-oval track, generate a lot of mobile broadband traffic. To be exact, at the most recent Chase for the Sprint Cup weekend on Oct 23-25, fans generated more than 1,500 GB of mobile broadband traffic. 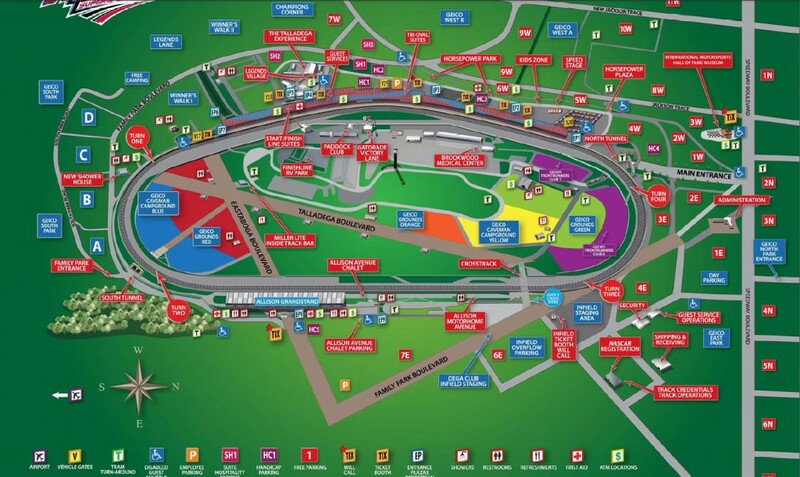 Since the early days of wireless communications, NASCAR’s Talladega Superspeedway has posed a unique challenge for network design and optimization engineers. Compared to other sports venues which are confined to the perimeter of a stadium, Talladega Superspeedway is an order of magnitude larger. It is no exaggeration comparing it to a small town with its fan experience centers, tram service and camping grounds. Yes, it is so big, that fans are even allowed to bring their own golf carts to the races. Since 2004, Sprint has been the title sponsor for NASCAR and the 10-race Chase for the Sprint Cup, which is akin to the postseason in US professional sports leagues. 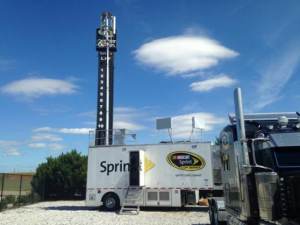 One of these Chase races are held each year at Talladega Superspeedway, so it’s no surprise that Sprint has been looking to ensure an exceptional customer experience at the venue. Marketers are familiar with the Net Promoter Score, which is a qualitative KPI used to rate consumer goods and services. However, network design and optimization engineers utilize quantitative KPIs to determine whether consumers are really receiving an exceptional mobile broadband experience at a venue. Some of the KPIs that are closely monitored at Talladega Superspeedway are call or session drop rates, average link throughput rates and radio resource utilization rates. Just recently in August, Sprint together with Nokia engineers reviewed the venue’s RF design and antenna placement and tried to determine capacity and coverage requirements. This included trying to figure out recommended RF network changes as well as redesign of cell level RF parameters. What was immediately clear, was that Sprint and Nokia needed to come up with a solution very quickly, as they had only 2 months until the next Chase for the Sprint Cup at the Talladega Superspeedway. During the next 6 weeks, Sprint and Nokia engineers designed, tested and deployed a solution employing 13 Nokia Flexi Zone Micro base stations and transmitting through four separate antennas. Two of them were multi-beam antennas covering the track’s grandstands – each of which was fed by six small cells. The 13th Flexi Zone powered two panel antennas mounted on a mast, serving the infield of the track. “The high speed and bandwidth capabilities of Sprint’s 2.5 GHz spectrum is a great match for the Flexi Zone small cell solution Nokia offers,” says Mark Walker, Director at Sprint for Network Operations. Merji has been with Nokia since 1994 in various Marketing related roles and currently is Head of Customer Marketing. Merji received a bachelor’s degree in electrical engineering from the University of Utah and master’s degree in electrical and computer engineering from CU Boulder.